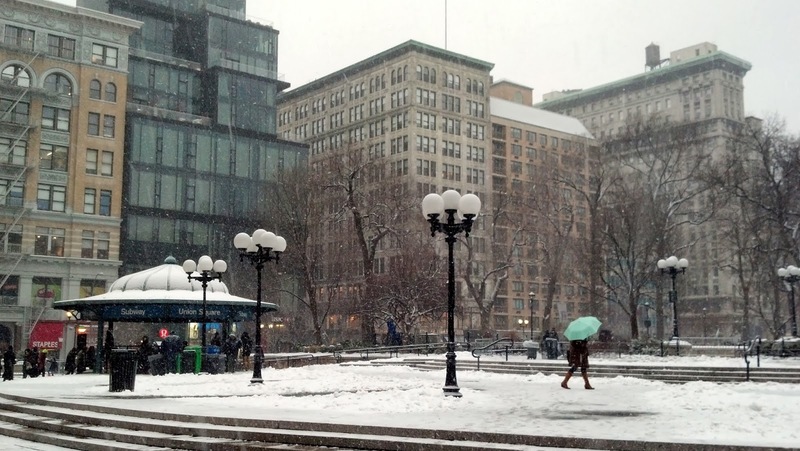 Last Saturday was a lovely snowy day and a good 15 degrees warmer than the rest of the week. A perfect day to meet up with a friend and wander about. First stop was a place I have been meaning to visit since I saw a DIY project on Pinterest, Guerra Paint and Pigment, 510 East 13th Street between Avenues A and B. This place was love at first sight. Shelf after shelf of jars full of pigment, metallic pigment, interference pigment, glitter of all sizes and the paint and binders to use with them. The presentation is very no frills, simple jars, which frankly make the product even better. The girl who helped me was incredibly nice, showed me things she thought I would like but wasn't pushy. 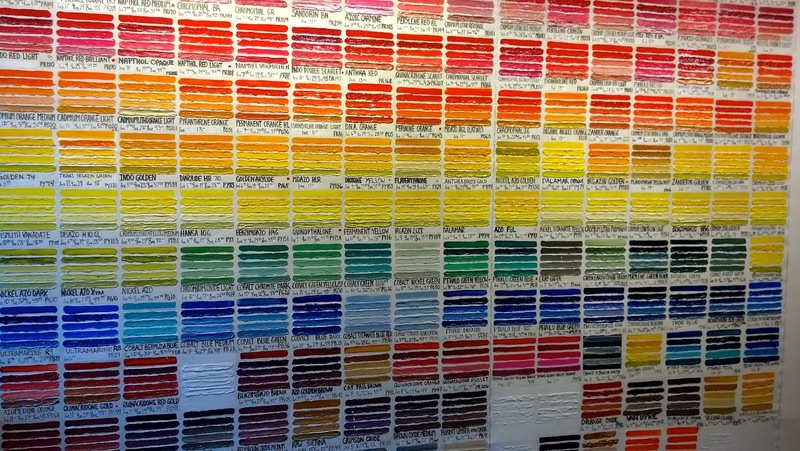 If you are someone who loves a good art supply store you should definitely stop by. 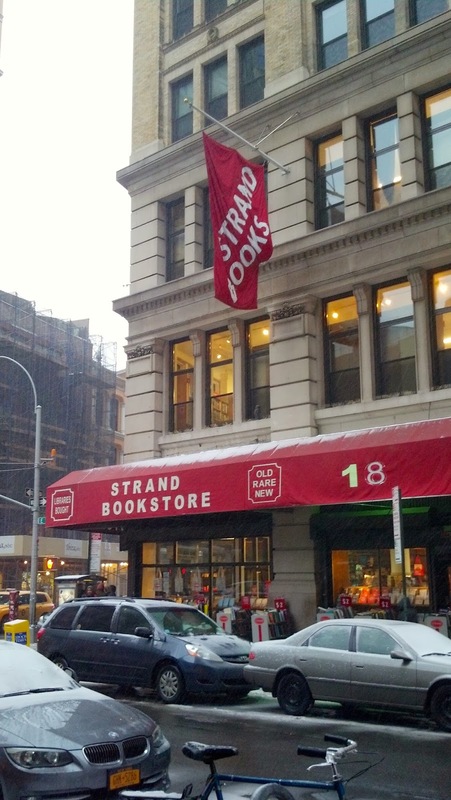 The next stop was the Strand. I met up with my new-to-the-city KDrama friend who had not been yet. Luckily Saturdays are very crowded so I was unable to gather a stack of books the size of a small child like I've been known to do. My TBR pile is far too large already. I will share my all time favorite Strand find though, an out of print Dolly Parton biography that I found on a very high (I needed a ladder and I am quite tall) top shelf. When I took off the dust jacket the book was shiny gold and silver. 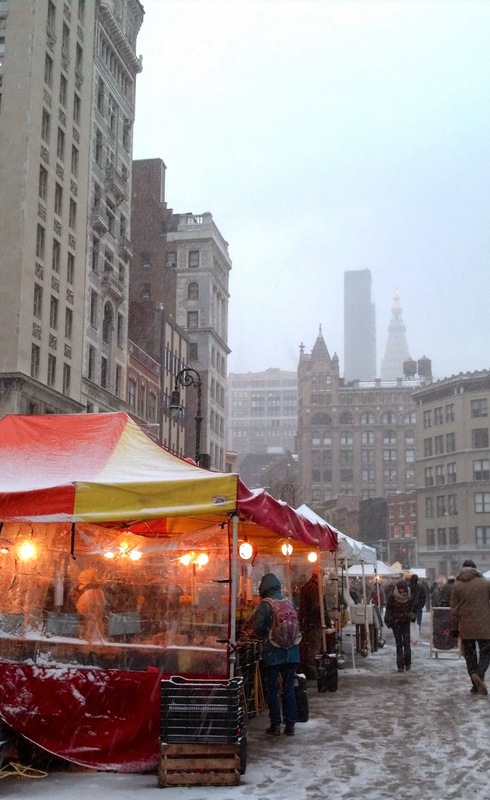 Next we walked through a much smaller than normal green market in Union Square. 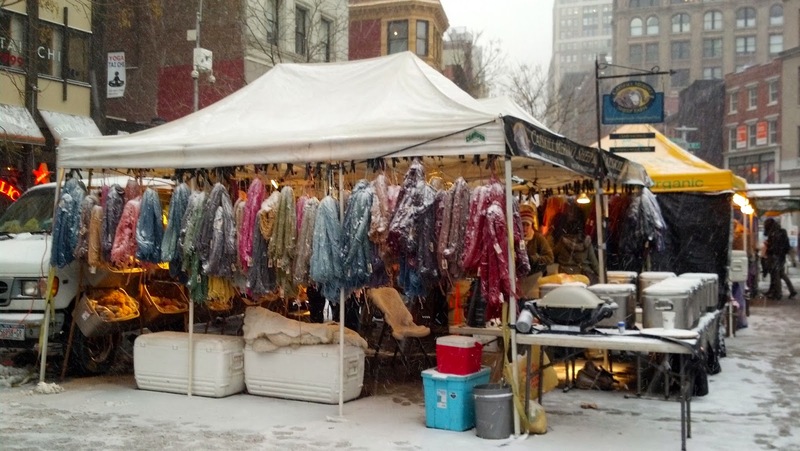 Apparently most of the vendors packed up early due to the snow but a few vendors stuck it out and their booths looked ridiculously pretty. I love the Catskill-Merino stand. Their yarn is not heavily processed, still smells a bit like sheep, and is full of lanolin so it feels really lovely to touch. If I am ever having a bad day, I like to loiter around their stand because it smells like Rhinebeck. A warm glowing produce stand. That will be all for today. 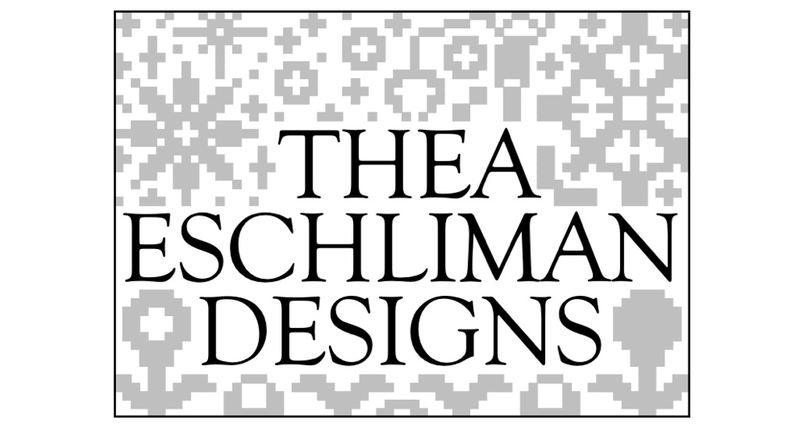 My list of favorite places is long and growing and I look forward to sharing more of them. 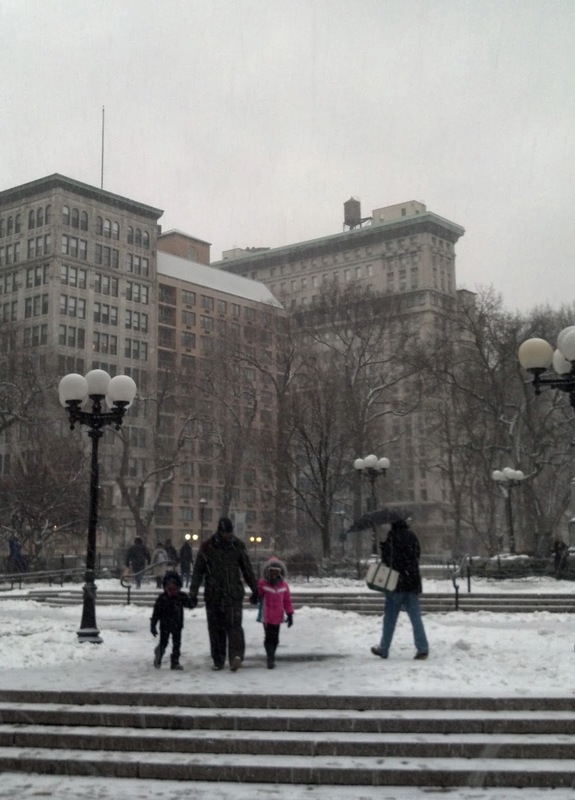 I will leave you with a few pictures of a snowy Union Square.